Loved the staff and the location. Enough fascilities and it was clean. Will definitely return here. Cosy little hostel located on a minute walk from the basilica. Staff is super friendly! There are free lockers in every room and each bed had its own curtain. I really enjoyed staying here and would definitely recommend! 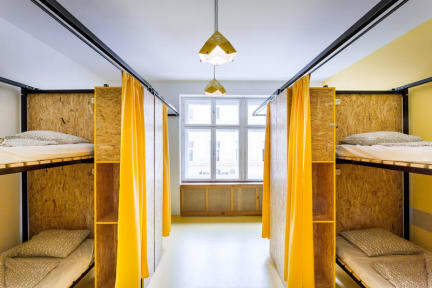 Prima hostel! We hebben er maar 1 nachtje geslapen, en dat was prima. Ventilator op de kamer was erg fijn. Maar de kamer had een doorzichtig gordijn, terwijl we aan de binnenplaats zaten. Je kon 's avonds niet omkleden in de kamer, en de badkamer was daar echt te klein voor. Verder prima! The room was easy but fine. The showers weren't nice at all, because the booths were too small and for that reason all your clothes get wet. The staff was really nice, espescially the girl with the brown hair, who helped us with the techno clubs, thanks a lot! We had a good stay here. 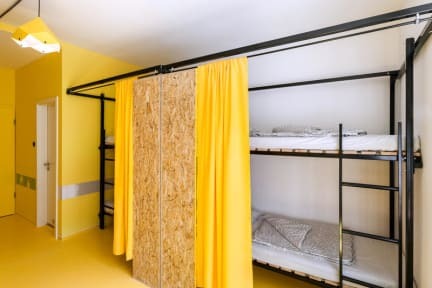 A decent hostel for the price you pay. However, the cleaning of some facicilities (especially the sanitary) could be way better.